This class follows the content and curriculum outlined by the American Association of Critical Care Nurses and is designed to provide a knowledge base for the experienced nurse to enter the practice of Critical Care Nursing. Case studies will be used to identify clinical issues and develop critical thinking skills. 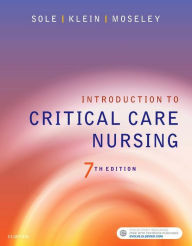 The Introduction to Critical Care Nursing, 7th Edition, published by Sole, Klein & Moseley textbook will be utilized during this course. The cost of the textbook and any materials is included in the course fee listed as shown. If you bring the current textbook with you, to the first day of class, you will receive a textbook credit.